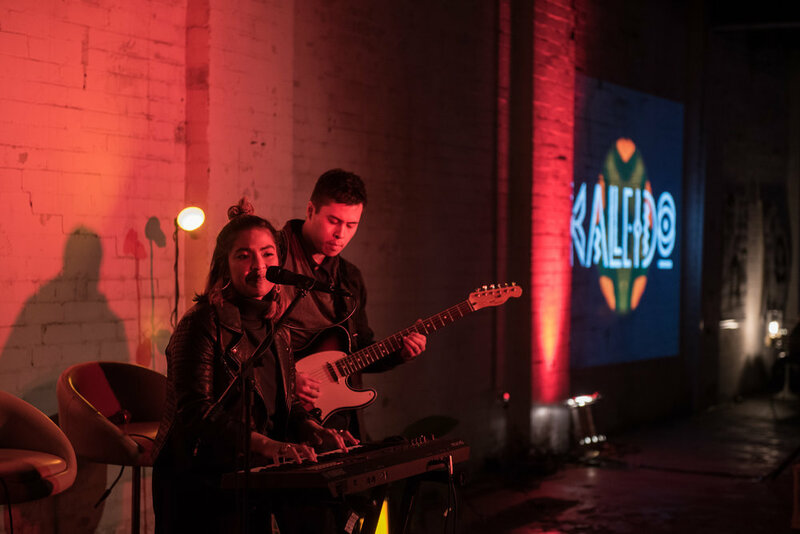 On Saturday 1st July, we were proud to support the launch of Kaleido Issue 04, which explored balance and mental health in our creative industries through a nice of art, design, music, dance, workshops and an industry panel. We've supported Kaleido magazine from day 1, but this issue is particularly powerful, and resonates with so many creatives that deal with mental health issues, particularly compounded by unique pressures and stresses within our industries and creative landscape in Sydney. 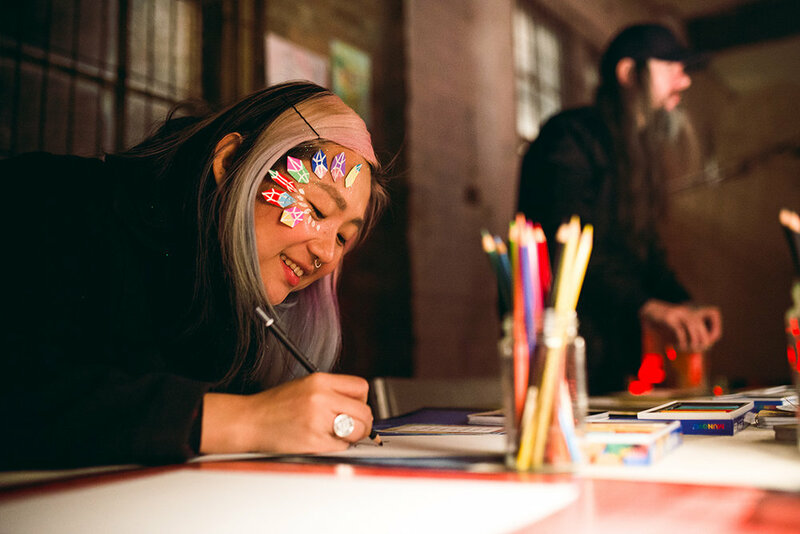 This launch event transformed our carpark warehouse into a cosy, warm and inspiring space filled with lights, music and creative workshops, and expanded into a stunning exhibition from some of Sydney's finest emerging artists. After opening with the gorgeous tunes of local act Lazy Byrd, the night officially kicked off with the industry panel of creatives and health professionals, featuring Mary Hoang, founder and head psychologist from The indigo project, Robyn Wilson, CEO of Australian arts and health organisation Flutter Lyon, Tin Pang, filmmaker and director behind the stroke awareness short film Mother, Child, and Ravi Prasad, founder of cafe and social enterprise Parliament on King. They shared their experiences surrounding mental health and finding balance in creative industries, which ranged from the neuroscience behind stress and anxiety, to the personal struggles of living with mental illness and running your own business, to using creativity as therapy and straight up setting (metaphorical) fires behind you and never looking back. 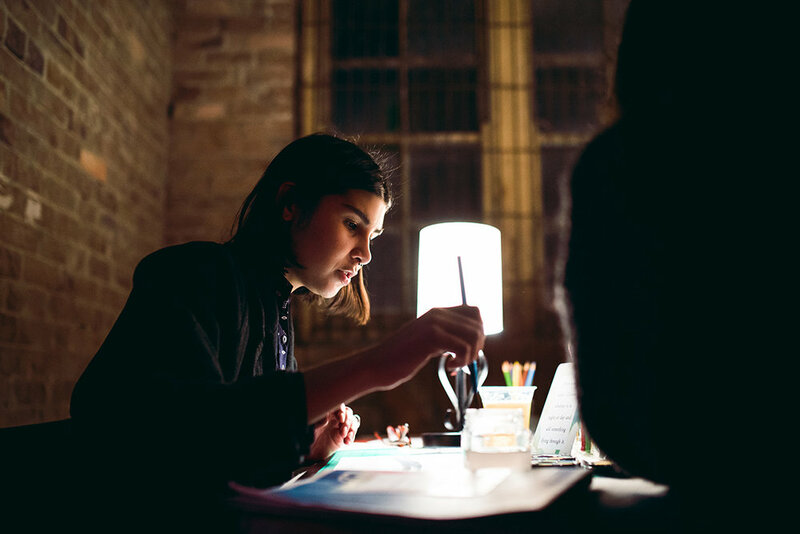 Facilitated by the incredible talented writer and host of Get Arty on Channel 7, Charlotte Rose Hamlyn, the panel delved into the complexities of the plight for balance – how do we define it? How do we find it? Is it unhealthy to always seek ‘balance’? It resulted in a very open, honest and informative discussion with plenty of laughs for good… balance. The powerful exhibition was curated by local artist Alice Amsel, and featured a whole range of creative works dealing with mental health and balance. It also included an interactive photoshoot with Sydney’s Hear Our Voice campaign, to give youth and creatives a voice for what they want to see for our city and in our industries. Over the rest of the evening, everyone was able to enjoy a whole range of interactive workshops. Including a mindful cheese tasting with The Indigo Project, a life pressing demonstration with Flutter Lyon, a solid dance sesh with Groove Therapy, an intimate portrait session with Nena Salobir, 3D Face Painting with Jeff McCann and a creative gateway workshop with She Creates. The night was a beautiful display of creatives coming together to share their stories and experiences, and show support for one another while discussing some really important issues. It's a must read for people working in creative industries, and you can grab your copy of Kaleido Issue 04 now. See more images from the night in our facebook gallery.